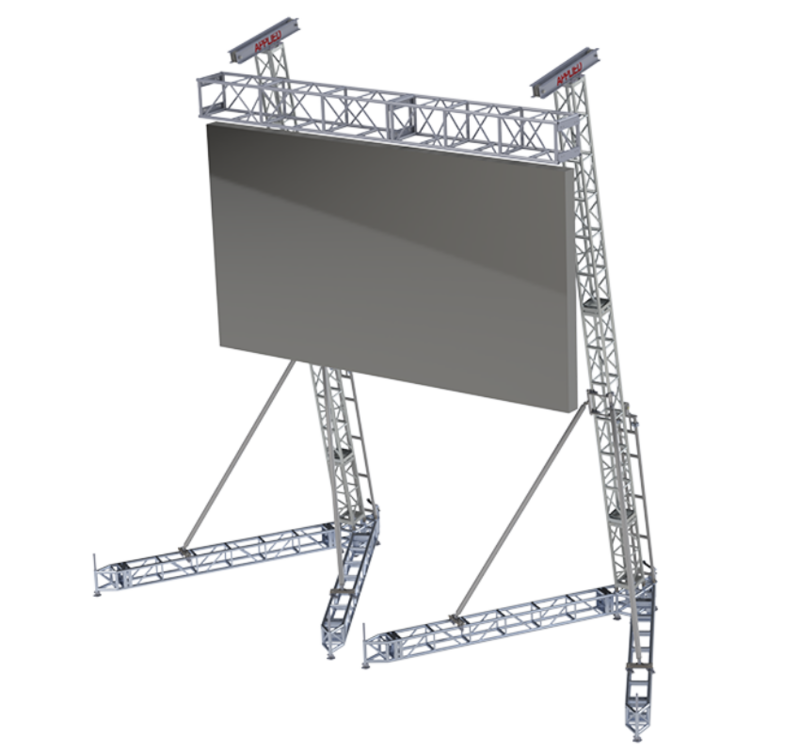 The Applied 25’, 30’ or 35’ Line Array Towers can be used to support a video wall or LED screen when properly rigged with the correct cross truss for the screen size and weight. This application for the towers is engineered and approved case by case. When the towers are used in this manor, a third-party engineering report with load limits and an operations management plan must be part of the production package.